Complete 3x5 cards, and practice vocabulary daily! Wednesday: p. 773 Q 1-4; Practice with Quizlet. Be ready for a quiz on Thursday! Amateur astronomer George Hall sure was looking at the right place at the right time on Monday. 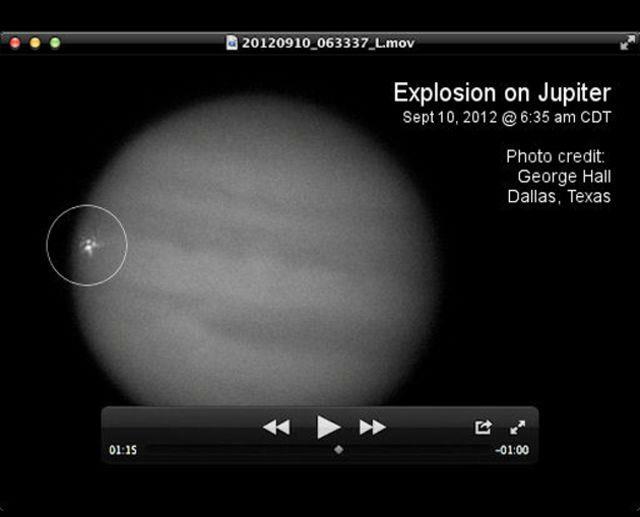 The Dallas skywatcher caught a fireball in Jupiter's atmosphere, most likely a small asteroid or comet snared by the giant planet's gravity. Similar impacts were observed in June and August 2010. Tuesday: p.797 Q 1-4 AND complete worksheet ID:A, label as directed. Wednesday: p. 802-803 Q 1-11. Use Quizlet Ch. 29 to practice vocab. Wednesday: Practice vocabulary with the Chapter 30 Quizlet set and be ready for a quiz on Thursday! Practice vocabulary with the Chapter 31 Quizlet set and be ready for a quiz on Thursday! 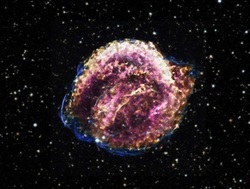 You're looking at a super nova first spotted by Johannes Kepler in 1604! Unit test preparation notes: An Astronomy Unit test study packet with answers will be handed out in class today. 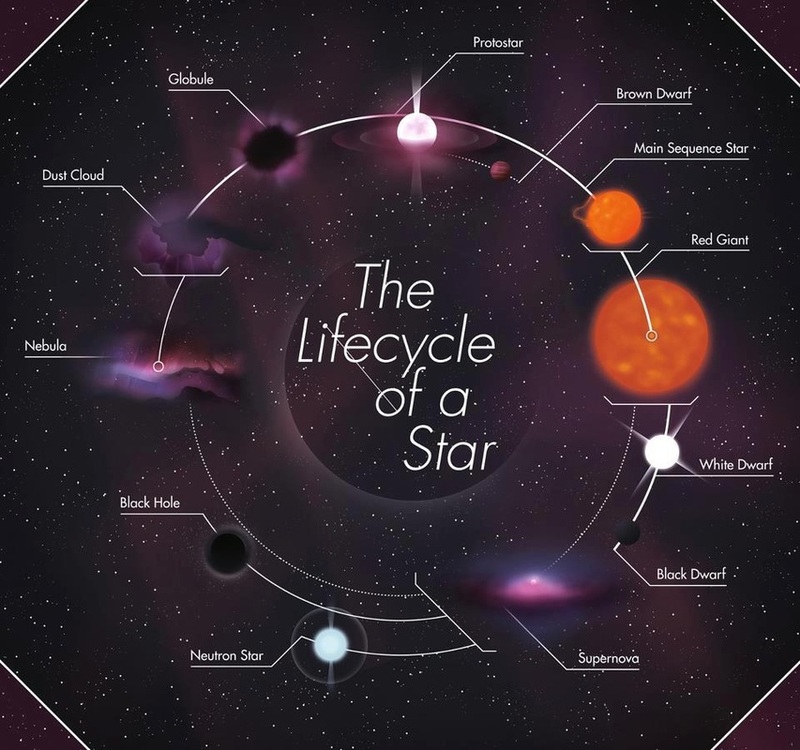 It is not required, but strongly suggested as a tool for additional review of the Astronomy Unit concepts. It will not be collected or graded, it is optional, however some test questions could come from the study guide, homework questions or the chapter quizzes. My suggestion, use what you have for work on the chapters you had the most difficulty with. On your graded and returned chapter quizzes, correct the questions you got wrong. Thursday: REVIEW CHAPTER 28 AND 29; Write 10 possible test questions (5 from each chapter) and the correct answers. Review vocabulary terms. Tuesday: REVIEW CHAPTER 30/31; Write 10 possible test questions (5 from each chapter) and the correct answers. Review vocabulary terms. Wednesday: Review all vocab terms. Be ready for your test on Thursday. STUDY GROUPS AND TUTORING ARE ENCOURAGED! Thursday: Turn in your possible test questions and take your test!